Her celebrated photograph The Migrant Mother is one of the most recognized and arresting images in the world, a haunting portrait that came to represent the suffering of America's Great Depression. 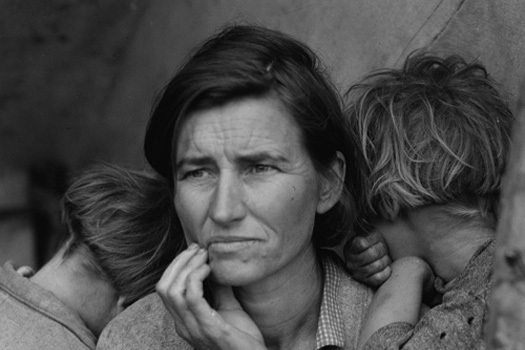 Yet few know the story, struggles and profound body of work of the woman who created the portrait: Dorothea Lange. Directed and narrated by Lange's granddaughter Dyanna Taylor, the film explores the life and vision of the woman behind the camera, whose images document five turbulent decades of American history. Taylor combines family photos and journals with previously unseen footage to portray the artist. Dyanna Taylor is a five-time Emmy Award-winning cinematographer and director of photography whose prominent career has also earned her a Peabody Award and the honored Muse Lifetime Achievement Award for Outstanding Vision and Achievement in Cinematography from New York Women in Film and Television. Her credits include work for all of the major networks—HBO, PBS, ABC, NBC, CBS and Nat Geo. Taylor is also well known for her work as director and co-producer of Annapurna: A Woman’s Place, which tells the gripping story of the first American women’s ascent of Annapurna I, and the tragic deaths of two of the climbers during the filming. In progress: a film shot over a period of twenty years, focused on artist James Turrell’s work at the Roden Crater. A Buddhist, lover of animals and the natural world. Roberta Grossman has written and produced more than forty hours of documentary film and television. Her film Hava Nagila, was opening or closing night at forty film festivals! Grossman's film Blessed Is the Match: The Life and Death of Hannah Senesh, won awards at thirteen film festivals. Grossman was the producer and co-writer of 500 Nations, the CBS mini-series on Native American history hosted by Kevin Costner. Her documentary, Homeland: Four Portraits of Native Action won awards at film festivals worldwide. Other credits include: In the Footsteps of Jesus, a four-hour special for the History Channel; The Medal of Honor, a six-part television series produced for US News & World Report; and “Heroines of the Hebrew Bible and Judas” for the A&E series Mysteries of the Bible.